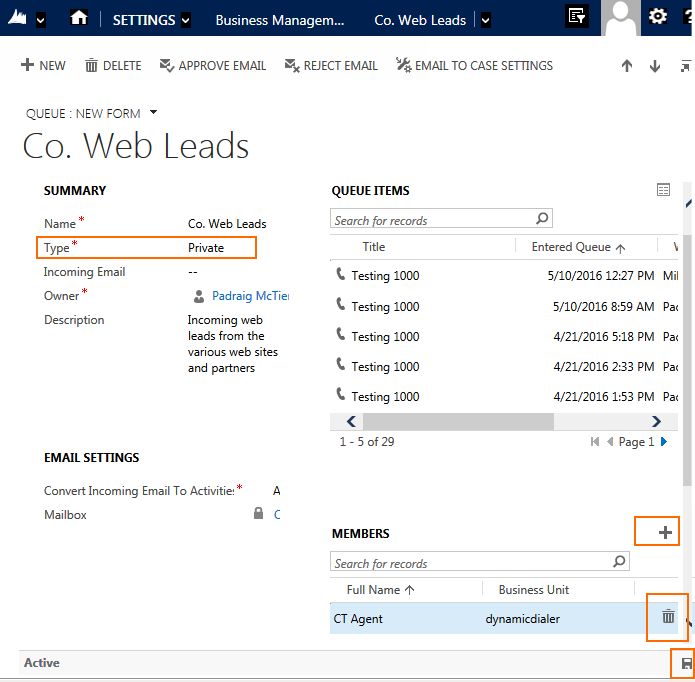 In Dynamics CRM, a queue can have members who are the only people that will receive queue items via Dynamics Telephony. You can add individual members, or you can add a team. You can easily remove individuals or teams from the queue too. In this screen snap note the queue must be private in order to be able to specify queue members. Note how you can add or delete members. And remember to save at the end. Access this form at Settings > Business Management > Queues and click on the queue you want. When you turn off a queue in Dynamics Telephony, it turns it off for all users.